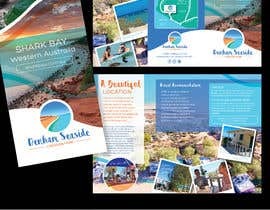 Files to be supplied in pdf, cdr and jpeg formats with all fonts and details. 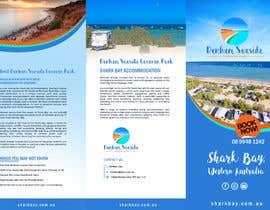 - Cover Page including name and logo, photo's, location (Shark Bay, Western Australia), website address ([login to view URL]), and top holiday parks logo. 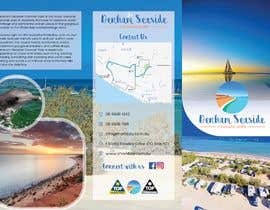 - The rear cover page should have a map to the Park in Denham, also showing direction to and time to Monkey Mia (20min), if this can be overlayed over a map of Shark Bay, showing distances to Perth, Kalbarri, Carnarvon and Exmouth that would be even better (but not necessary if it does not look good). 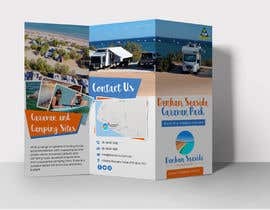 - Rear cover page also needs to have all contact details for the Caravan Park - see our website ([login to view URL]) for these, and have the facebook and instagram logos showing. 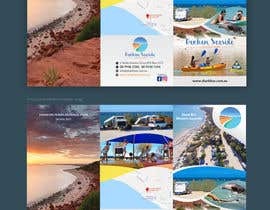 Denham Seaside Caravan Park is the most westerly caravan park in Australia. 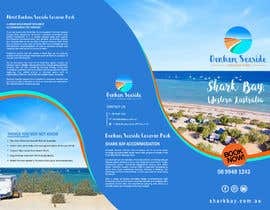 Famous for absolute water frontage and panoramic ocean views of the gorgeous sunsets in the Shark Bay World Heritage Area. 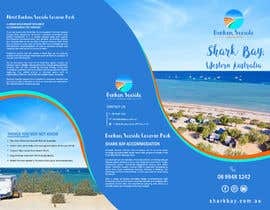 Located right on the beautiful Shark Bay with its own lovely safe pet friendly beach and just a short walk away from the town's hotels, restaurants, jetties, waterfront playground, bakery and coffee shops. 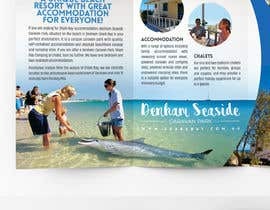 Denham Seaside Caravan Park is especially appealing to those who enjoy swimming, boating, relaxing, sunbaking, kite boarding and world class fishing and is just a 20 minute drive to Monkey Mia to see the Dolphins. 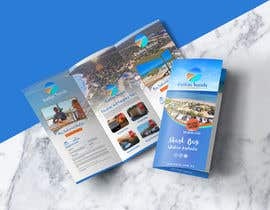 Our one and two bedroom chalets are perfect for families, groups and couples, and they provide a perfect holiday experience for up to 6 guests. 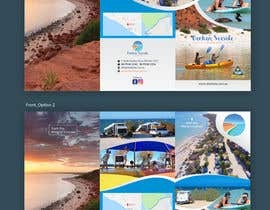 If you are travelling with an RV, motorhome, tent, boat, camper trailer or caravan, then we have the perfect set-up for you with our powered sites, powered ensuite sites and unpowered sites available. 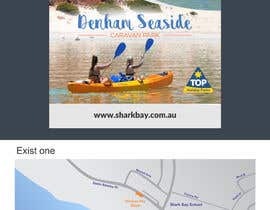 We are also Dog and Cat friendly on all our camping sites! 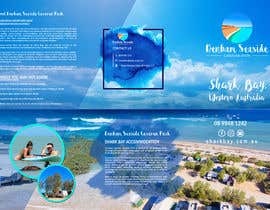 - Please use images from our website ([login to view URL]) and as provided. 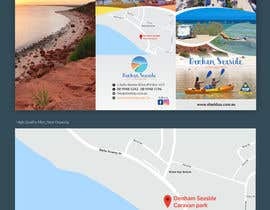 - Colour scheme needs to match our website and logo colour scheme. 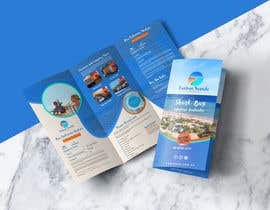 - Please do not re-design our logo - use it in the brochure design. Wow - looks gorgeous! 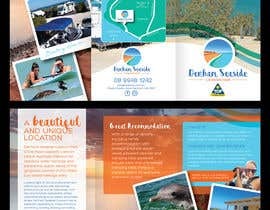 I'm and Australian Gold Coast designer and look forward to sending through design concepts. Great! look forward to seeing them! 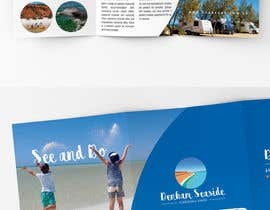 Can I also send an eps file instead of cdr? Working, are you going to wait 2 weeks or until you find a design that you like?